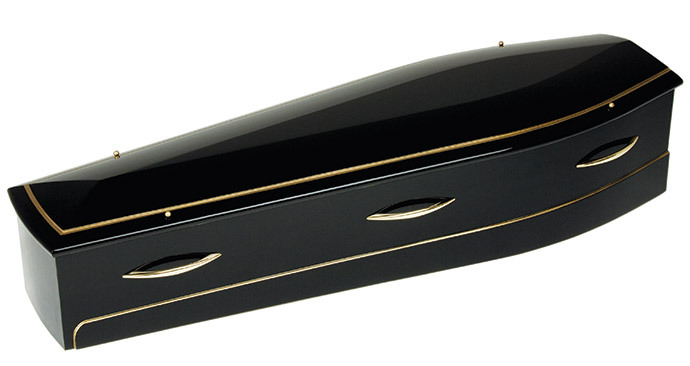 Decorated with a Last Supper carving on each side and with a traditional raised lid, the coffin is optionally furnished with brass-effect handles and wreath holders. 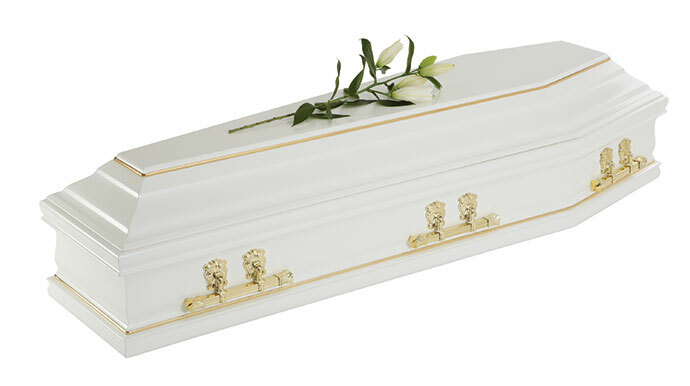 A white coffin suite compliments the interior. 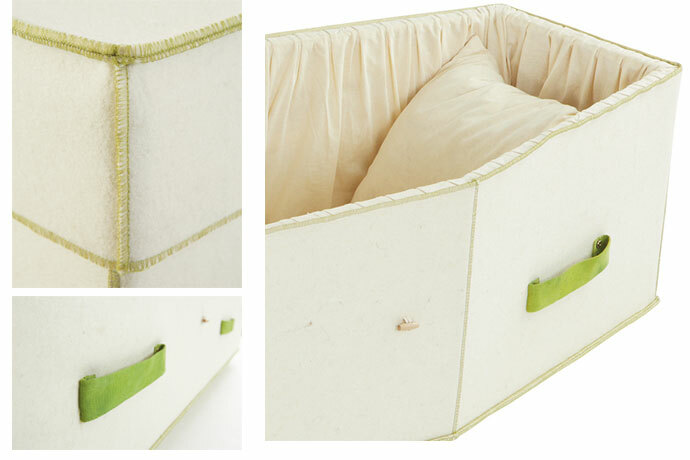 Cream interior also available. 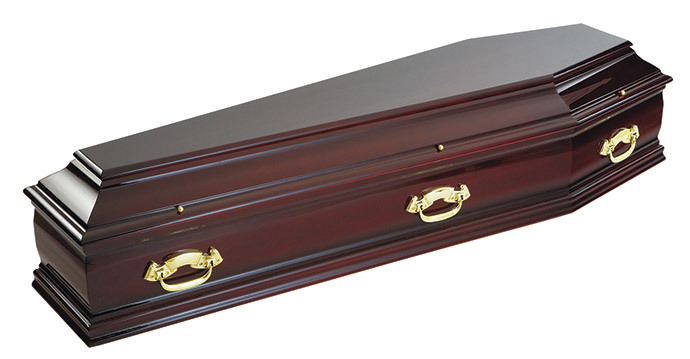 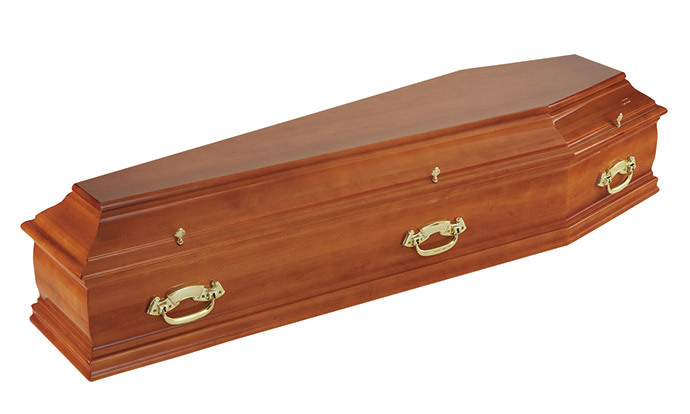 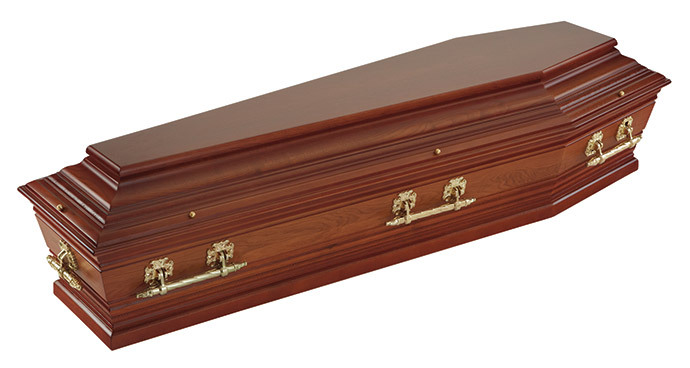 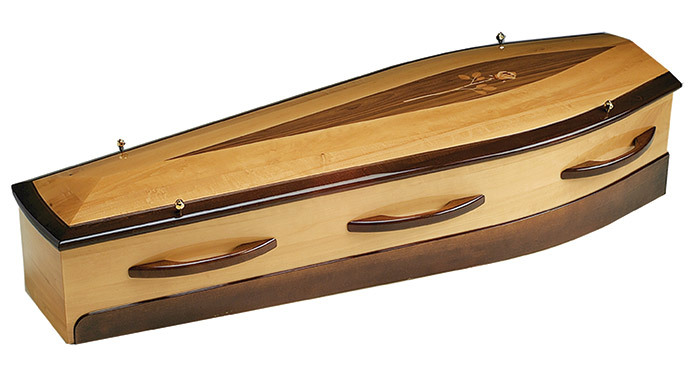 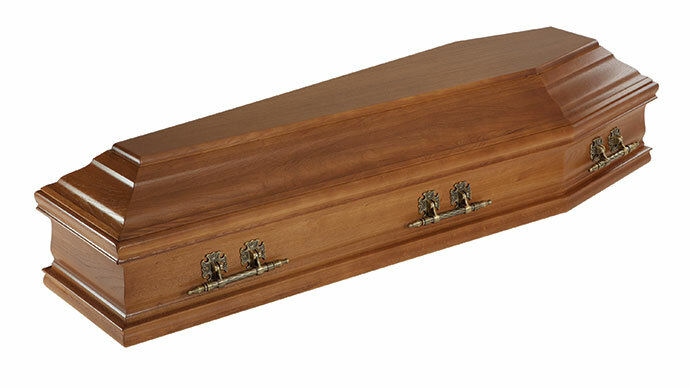 A robust solid poplar traditional shape coffin, wrap-fitted with natural wool. 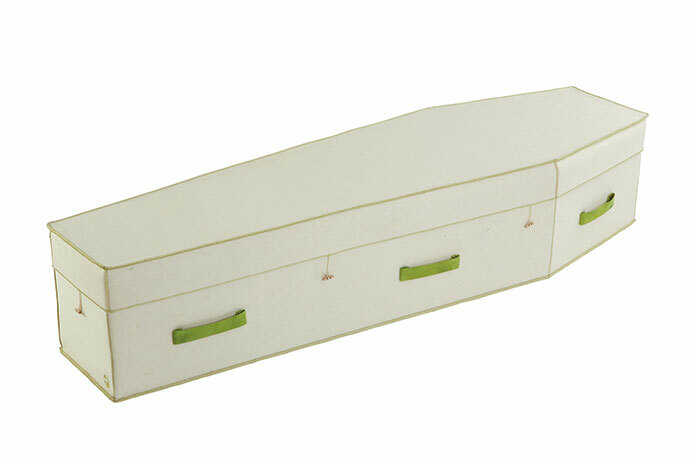 The kiln dried timber is assembled by hand and the natural wool textiles fitted to form a completely covered coffin including the underneath for comfort handling. 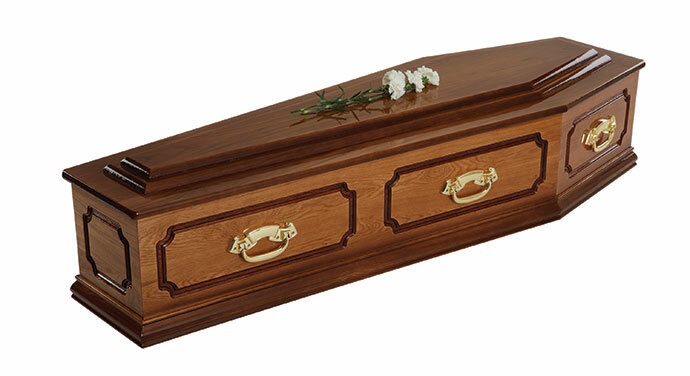 No polish or chemical lacquers are used in the timber assembly of this product. 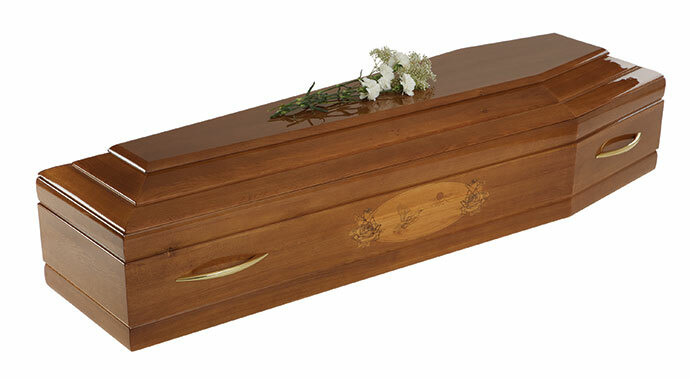 Only genuine Hillside products carry the logo.